We appreciate your attendance at one of the scheduled public meetings where growth in Chandler Unified School District’s Southeast Region along the Val Vista Corridor was discussed. If you have any questions or suggestions regarding the demographics, projected growth and elementary boundary options, we welcome your feedback. 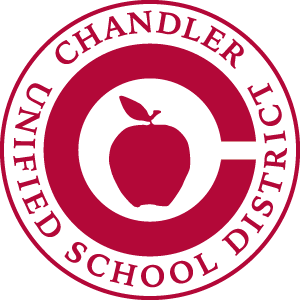 The recommendations will be made to the Chandler Unified School District Governing Board at their regularly scheduled board meeting on May 8, 2019. The elementary school boundary changes will go into effect for the start of the 2020-2021 school year. Please provide your e-mail and phone number in the feedback form so that we can respond. Also, we may respond and post your recommendation or suggestion to our Frequently Asked Questions. We have a Gilbert address. I feel moving our area to Gilbert schools makes more sense. Thank you for your input. Gilbert Public Schools and Chandler Unified School Districts are two separate entities with Governing Boards that approve Boundary recommendations. Any changes of school attendance between Districts would be through the Open Enrollment process as Chandler Unified School District does not have authority to reboundary within another District. I think it would be ideal if the Weinberg name could go with it and rename the new school. Thank you for your input. We are checking to see the conditions of how Weinberg was built and the land acquisition. We will know more in the next 30 days. What will the boundaries be for the new school? The new school (Elementary #31) will reside in the current Weinberg Elementary boundary (North of Ocotillo and west of Val Vista Roads). Is the decision to make Weinberg another gifted school? We are recommending a need for a gifted academy at the current Weinberg Campus. What will the name of the new school be? The name is to be determined. The Chandler Unified School District Governing Board is the only entity that names schools. We are early in the process for Elementary #31. How can I see the options being discussed? To see the options being discussed, click on any of the option documents linked above. Why are you proposing to change elementary school boundaries? We are seeking feedback regarding a change to elementary boundaries in the southeast region of the Chandler Unified School District in order to address the projected growth in the area in a manner that maintains the best possible educational environment for children while causing the least disruption for families. We appreciate your questions and suggestions.